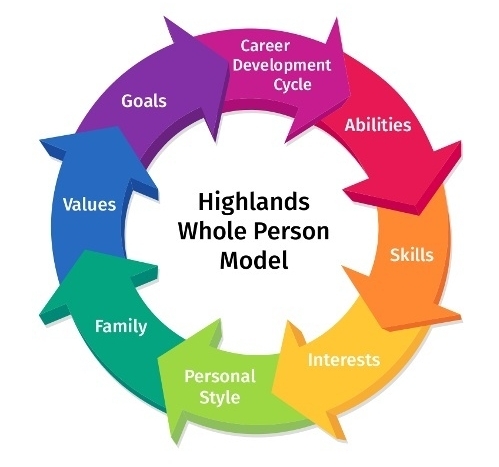 The Highlands Whole Person Model is the wheel made up of colorful arrows that represent the eight career decision factors we have identified — abilities, skills, interests, personal style, family, values, vision, goals, and stage of career development. All the factors in the Model interact and should be considered when making major changes in your life and career. 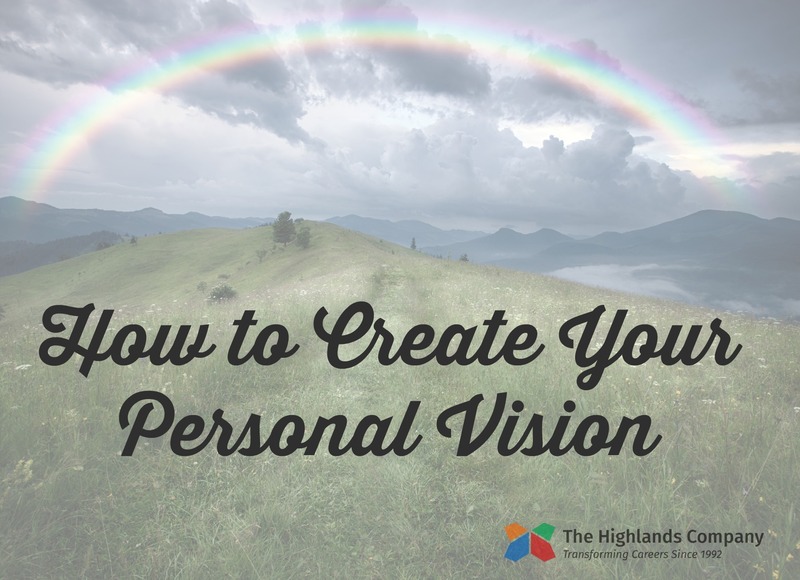 For years, many Highlands Certified Consultants have worked with clients to understand the Model and how it relates to them to create a Personal Vision, or a statement that represents who you are and your ultimate goals. To create a positive Personal Vision, two elements are needed. For number one, how do you get solid data, you ask? The Highlands Ability Battery (HAB) that’s how! Our career assessment supplies objective information about your natural talents. For number two, you’ll reflect on your talents and the eight factors in the Model. It’s a creative process that requires you and your Highlands consultant to consider the possibilities. Finally, to create the Personal Vision, you write down how you see your career moving. It’s not enough to write it. You must say it, too. That’s an important step in actualizing the Personal Vision. Think it, write it, say it, do it. Now you have a touchstone as you move forward in your professional and personal decision making. When an option arises, ask yourself, is this in alignment with my personal vision? Is THIS option a stepping stone to where I want to be? A Personal Vision does NOT result in “the answer.” There is work to do after creating it, but it makes the research, job search, and decision making so much easier. You may not know the name of the job you want, but you can absolutely identify the elements of what you are looking for (e.g., in a specific career field, the amount of people interaction, the pace and structure of the work, the expression of values, the use of acquired skills, etc.). Once you create that Personal Vision, you are so clear on what you want and don’t want, and you can articulate it to others so clearly, that you can get on a path you are satisfied within just a few months. The path may require multiple steps (e.g., additional education, a job that will provide them with appropriate experience, etc. ), but you will be clear on your target, and often surprised at the result! One Highlands client conceived the idea of combining her experience in the corporate world with her love of history and genealogy. It wasn’t logical, but it was what she was looking for, and that became the central element of her vision. Another client learned he would do well in any role that allowed him to direct the production of a tangible object. With the Highlands Whole Person Model, he saw the connection between that natural ability and his interest in performing arts and writing. He took into account his stage in the career development cycle and realized he needed a career with financial stability that incorporated his interests. He was going to pursue additional education, but that changed when he saw how to bring interests into his daily routine that were satisfying and aligned with his Personal Vision.